The carburetor PHBL in this size is quite rare! It is reserved some pretty special people. This seeking more performance than a model PHBG to equip a good engine 50cc for example! 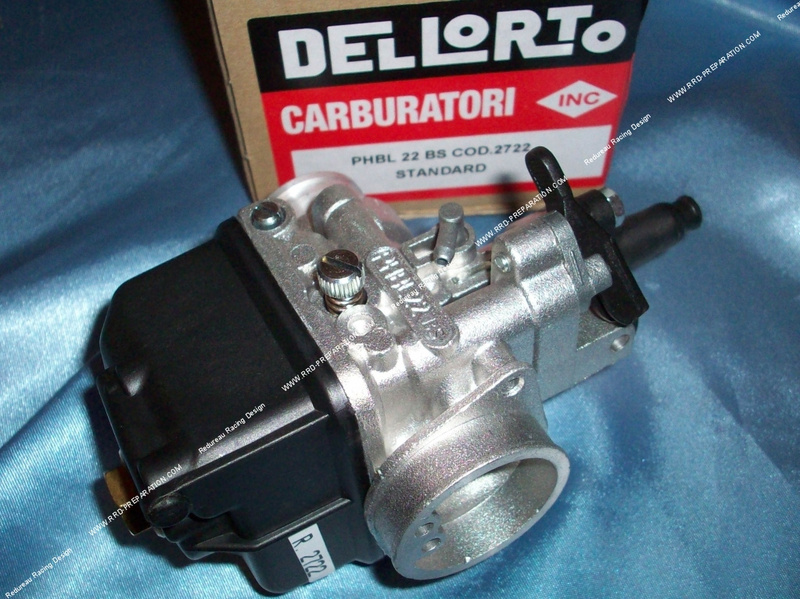 This carburettor is a mix between the PHBG and PHBH, it is much more efficient than the model PHBG as a couple in acceleration. The body is much more voluminous and studied a PHBG, the air filter side also has better venturisation, the filter outlet diameter is 40mm! In addition, a report PHBG, the Ø bushel is strongly increased, the needle sinks, sprinklers, well ... Are deferential. That is why we propose this carburettor too seldom offered! You also certainly appreciate the changes of nozzles that are much faster! This model being the BS1, it has a choke has lever and it does not have separate lubrication.